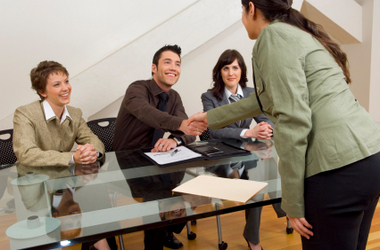 Ask these interview questions to impress a future employer. 1. What exactly does this company value the most, and how do you think my work for you will further these values? 2. What kinds of processes are in place to help me work collaboratively? 3. In what area could your team use a little polishing? 4. What’s the most important thing I can accomplish in the first 60 days? 5. Can you give me some examples of the most and least desirable aspects of the company’s culture? 6. Am I going to be a mentor or will I be mentored? 7. How will you judge my success? What will have happened six months from now that will demonstrate that I have met your expectations? 8. This job sounds like something I’d really like to do — is there a fit here? Checked your scholarship matches recently? See them now. 9. Now that we’ve talked about my qualifications and the job, do you have any concerns about my being successful in this position? Use these questions as prototypes for questions based on the particulars of the position you are interviewing for. Make them your own and polish them until their shine reflects on you. Asking questions like these is not for the faint of heart but, then again, neither is succeeding in today’s hypercompetitive job market. This article was originally published on Monster.com.